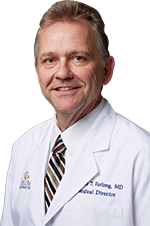 Dr. Furlong has dedicated his practice to refractive surgery and has assembled a well-trained staff to educate and care for his patients throughout the entire surgery process. 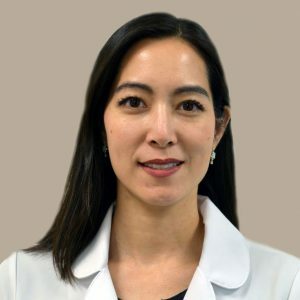 Dr. Patricia Shen, a glaucoma certified optometrist, has been in practice since 2000 specializing in refractive and cataract surgery management. With a background in corneal subspecialty, Dr. Shen is an integral part of the Furlong Vision Correction team in providing the latest technologies and advanced treatments for patients. Dr. Shen offers her expertise and personal attention to ensure that each patient’s experience at Furlong Vision Correction is a most pleasant one. “I joined Furlong Vision Correction in 2009 and I am delighted to be a part of such a great team. 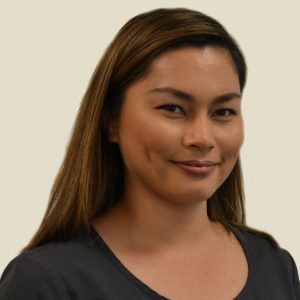 I look forward to meeting each and every patient and helping them achieve the best surgical experience at our office.” Dr. Shen graduated from the University of California, Berkeley with a Bachelor of Science degree and completed her Doctor of Optometry at the State University of New York, College of Optometry. Dr. Patel received her B.S. in Biology from Loyola University in Chicago and her doctorate from the University of Houston College of Optometry. She has been working in the refractive surgery field since 1999. 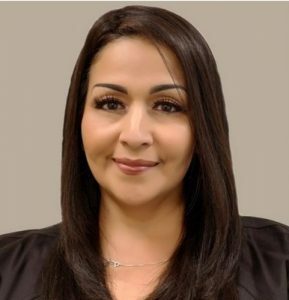 The clinical knowledge and patient skills she has obtained throughout her career in working at private and nationwide refractive surgery centers in Chicago, LA and the Bay Area, makes her an asset to our team. As the optometric Affiliate Relations Manager for Furlong Vision Correction, Dr. Patel plays a key role in developing and strengthening the relationships between our practice and our referring doctors throughout the Bay Area. She works closely with our partnering doctors to educate them on our advanced technologies and the services we offer, provide them with the necessary materials and tools to refer patients and make the co-management process seamless for their clinics and their patients. 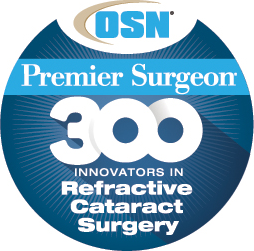 Dr. Patel also offers marketing suggestions to increase LASIK awareness in OD offices and coordinates continuing education events for our optometric partners. 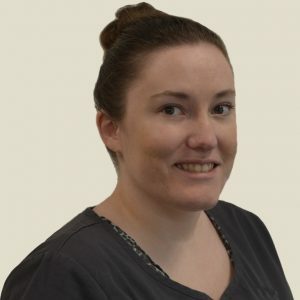 Carla Monaghan has enjoyed working in the field of ophthalmology for over 15 years. 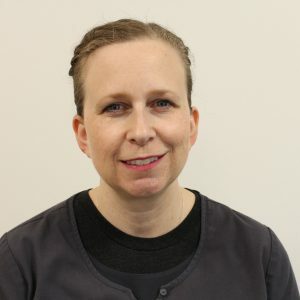 She first worked alongside Dr. Furlong in 1996 at the Gimbel Eye Centre in Canada while Dr. Furlong was completing a full-year LASIK fellowship. In 2005, Carla attained her Certified Ophthalmic Assistant designation, specializing in Ophthalmic Surgical Assisting. 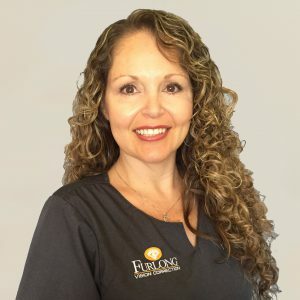 Never shy to face a new challenge, Carla jumped at the opportunity to move to California to work with Dr. Furlong again. 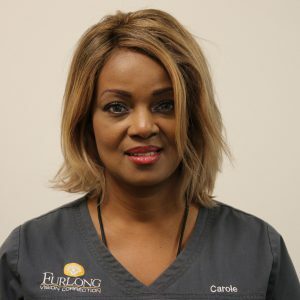 Carla loves working with patients and being part of a specialized team of professionals dedicated to excellence in patient care. We celebrated Carla’s 10-year anniversary with Furlong Vision Correction in 2016 and look forward to many more! Dana Jimenez-Valassis started her ophthalmic career at Furlong Vision Correction in 2008. Her background as a medical receptionist and patient counselor, as well as her knowledge, dedication and leadership make her an ideal match for our practice. 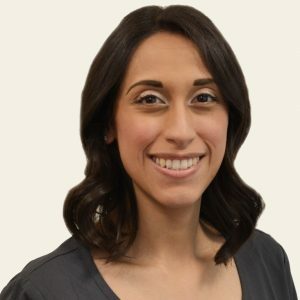 Dana is a Certified Ophthalmic Assistant, leading the Furlong Vision Correction team of ophthalmic technicians to provide the best quality of service and care – voted Best Place for LASIK in Silicon Valley for eleven years! Helping patients throughout their vision correction experience and the change it makes in their lives is what she truly enjoys. “Before joining Furlong Vision Correction, I wasn’t sure what type of medical field I would fit into as a career. 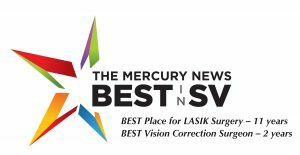 Now after being here, I realize what a difference vision correction makes.” Having had Custom PRK in 2013, Dana knows what patients are feeling and the amazing quality of life these procedures can offer. Dana is happily married with three sons and a daughter. She lives in Milpitas and is active in the sporting community, volunteering as a softball coach for her daughter’s team and assisting organizations that support her children’s dreams of being successful student athletes. She also enjoys camping and spending time with her family. 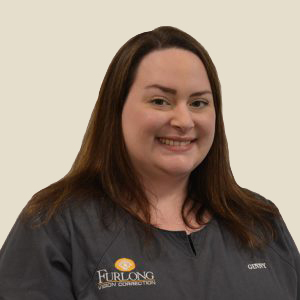 Before joining Furlong Vision Correction, Michelle spent many years in the customer service medical field. When Michelle joined the practice in 2005, she loved putting people at ease and calming their pre-surgery jitters at the front desk. Now a patient counselor, Michelle enjoys working closely with patients educating and helping them through their laser vision correction process. “I love being a part of a great team dedicated to our patient’s care and seeing the transformation our patients make when retiring their contacts or glasses for their new pair of eyes. It’s truly is amazing!” We celebrated Michelle’s 10-year anniversary with Furlong Vision Correction in 2015 and look forward to many more! Julia grew up in the East Bay and has a long love of eye care as her parents are both optometrists. She is very excited to grow with our team and learn more about the life-changing opportunities that surgery brings. Julia completed her bachelor’s degree at the University of British Columbia in Vancouver and studied abroad as well in Santiago, Chile. She enjoys traveling and is thrilled to participate in every patient’s journey to better sight. Philippe began working in the optometry field in 2013. The joy of making a difference in people’s lives as they experience the results is what Philippe is passionate about. 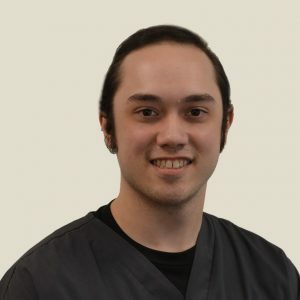 While working for a private doctor Philippe developed a passion for helping patients receive the best care and assistance, Philippe is pursuing a degree in Social Work at San Jose State. An avid sports fan Philippe enjoys playing and watching basketball, football and baseball. His favorite teams are the Golden State Warriors, San Francisco Giants and Oakland Raiders. 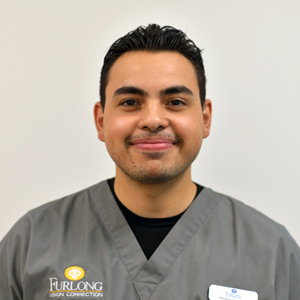 He is excited and honored to be a part of the Furlong Vision Correction team. Douglas began working in the optometry field in 2014 – examining, cleaning and testing the power of individual lenses for cataract patients. Douglas had LASIK in 2015 and he was overwhelmed with happiness and excitement for his new vision. He now loves helping patients reach the same conclusion. Douglas moved to San Jose from Southern California and he is an avid Los Angeles Kings fan. In his spare time, he enjoys hiking, swimming and dancing. One of his goals is to learn as many languages as he can and eventually travel the world without any language or vision barriers! Sarah grew up in Santa Clara and became part of the Furlong Vision Correction team after working as an optician since 2016. 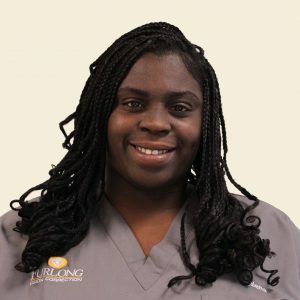 She is passionate about educating patients and giving them the best possible vision. Prior to her work in the optometry, she toured California performing for thousands of schoolchildren and holds a BA in Dramatic Arts from UC Davis. She continues to remain active in the theatre and music communities while exploring the exciting world of vision correction! 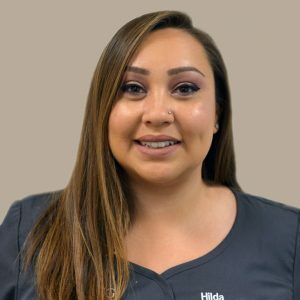 Hilda loves to greet each patient with a warm and friendly smile and that’s why her motto is: “smiles are contagious, be a carrier!” Before becoming an ophthalmic technician, Hilda was a medical administrative assistant excelling in customer service. 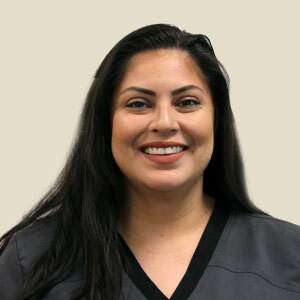 She is fluent in Spanish, which allows her the opportunity to guide Spanish-speaking patients through their first steps in visiting the office. 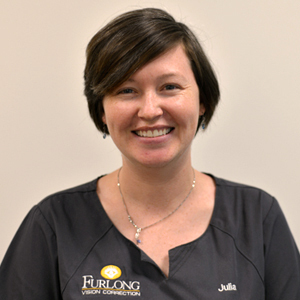 Giving patients the best possible care is top priority at Furlong Vision Correction and Hilda is thrilled to be a part of our dedicated eye care team. Hilda was born and raised in the Bay Area and is a huge Raiders fan. In addition to watching her favorite football team, she loves spending time with very active and close-knit family. Andres, a San Jose native, has always been interested in the medical field and worked for six months at the Regional Medical Center as an aide in the Emergency Room. While working at East Hills Vision Care Optometry, Andres saw ophthalmology as being the most unique field for a career. Andres’ interest in surgical ophthalmology grew when viewing his first eye procedure. 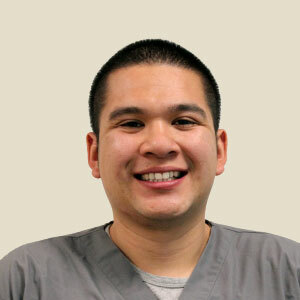 Julien graduated from Contra Costa Medical Career College, with a certification in Medical Assisting and Phlebotomy. She discovered her passion for ophthalmology in 2016 when she began working as an ophthalmic technician for a general private ophthalmology office with multiple surgeons and optometrists. Julien feels motivated to give the best care to patients because they trust her with one of the most valuable and complex organs in a human body and she feels privileged to be a part of a team that delivers the highest level of care. In her spare time, she enjoys taking her three dogs to the park. She also appreciates fine wine along with knitting, crocheting and skiing. Laura is a San Jose native. She graduated with a B.A. in Biological Sciences from San Jose State University in 2015. She always wanted to have a career in health care since she is compassionate and loves to help people. She started her career in optometry in September 2015 working for an optometry office for three and a half years. She had LASIK surgery in 2017 and was so impressed with the friendliness and professionalism of the staff at Furlong Vision Correction. 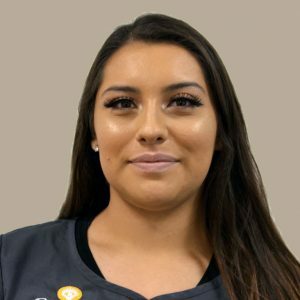 She is very excited to be a team member and be able to provide patients with the same level of customer care that she experienced as a patient herself. When not working, she enjoys photography and writing and also volunteers at a local church on a weekly basis. Erin, a San Jose native, is very experienced in account management in a variety of fields, including medical billing. She completed her Associates in Accounting in 2018 from the University of Phoenix. “I like being the port of call for patients when they run up against issues with their accounts. Being able to take that stress off of a patient’s shoulders makes me feel successful every day. I am proud to work with a team of professionals who work diligently to provide the best standard of care to every patient.” When Erin is not working she loves to read fiction novels and her current favorite is The Rook by Daniel O’Malley. She also loves spending time with her family and participating in volunteer work in her community. 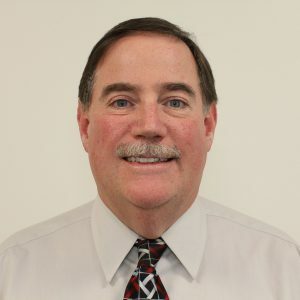 Matt comes to Furlong Vision Correction with over 20 years of experience in physician practice management, medical imaging business and technology consulting and project portfolio and operations management. Over the last four years, Matt was practice administrator for a multi-physician retina practice and chief operating officer for a large oncology and urology group. Matt’s passion is to provide world-class patient care through inspirational leadership, continuous process improvement and leveraging the latest technology. 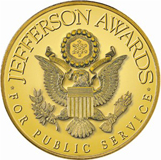 “My reward is the satisfaction that comes from supporting a team of professionals who are committed to achieving the best outcomes for our patients. 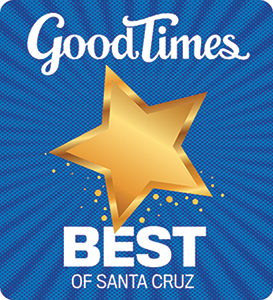 We know that our patients have choices when it comes to choosing a refractive surgeon, and we strive to provide the best customer service and quality of care for every patient we serve.” Matt received his B.A. from U.C. Santa Barbara and earned his M.B.A from St. Mary’s College.